Click on each image for more…. As a child, a young waif named Linda discovers that she is adopted and that her real father, Paul Morand is dead. Puzzled and confused about her origins, she grows up poor, artistic and gifted in a prosperous town where her family has no social status. Shunned by her peers, she is accepted by older students and mentored by several caring teachers. Later she finds out that her father is alive and living somewhere in France and she vows to find him. 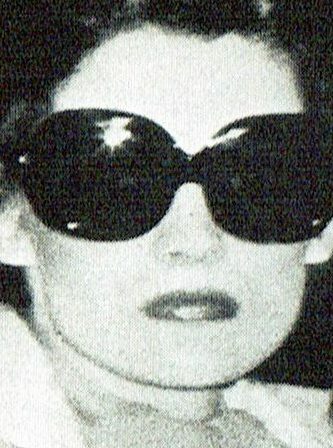 Her mother, Ava Martel an embittered aging beauty, will not give her any details, but her Aunt Arlene knows the truth. However, Arlene is bound to secrecy. She does hint that Linda’s father was older, very sophisticated and wealthy. Can Arlene be trusted, or is it all part of her vivid imagination? As a teenager, everyone begins to point out Linda’s extraordinary likeness to the most famous woman in the world, the former First Lady, Jacqueline Kennedy. She wins an art competition, runs away to Key West and is discovered by a local celebrity designer who photographs her in Lilly Pulitzer dresses. She returns to New York where she works her way up in the modeling industry, unexpectedly incurring the displeasure of the Kennedys because of the uncanny likeness. To avoid conflict with Jacqueline, she moves to Paris to model for Pierre Cardin and to finance her search for her father whom she believes to be a famous French writer. Linda becomes a top model in Paris, escorted by a prince and a movie star. Through friendships with extraordinary people, she learns to appreciate the expatriate lifestyle of Paris, Rome and London. Time passes in a whirlwind of travel, beautiful dresses, and fabulous locations. When she has time, she searches for information about the Morand family, poring through dusty files, old newspaper microfilm, and telephone books. One evening she is introduced to Philippe Forquet, a handsome, charming Viscount with a troubled past. He invites her behind the Iron Curtain to Communist-controlled Budapest where they fall in love to the sound of real gypsies playing Stradivarius violins. She begins a relationship with him, and he proposes marriage. Linda anticipates having a family and puts her own career on hold. They move to Rome where Philippe shoots a remake of Camille, and then they vacation on the Cote d’Azure to plan their storybook wedding. However, things don’t go as expected. A disaster befalls in the tragic death of Philippe’s ex-fiancée, the rising star Sharon Tate. She has been brutally murdered by the Manson gang. Thunderstruck by grief and overcome by guilt, Philippe becomes depressed and controlling trying to protect Linda from the evils of modeling and the film industry. They go back to Rome where Philippe has a film obligation. Linda bristles at his jealousy and suspicions. They separate when he departs deep into the interior of Communist Russia to make an epic film with Rod Steiger. Free from Philippe’s control Linda returns to modeling. Jacqueline Kennedy has become Jackie O, and her favorite designer is Valentino. After seeing Linda in a show, Jackie lets it be known that she is not pleased. Linda tries the film business in Rome. She is discouraged at the exploitation of women. After an exhaustive search, she finally meets Paul Morand, the famous French author, and finds out he is not her father. She sinks into despair until Antoine returns from Russia and proposes again. She again accepts and agrees to give up acting and modeling. She will forget about finding her father, concentrate on the present, and anticipate a great future. Arriving in Hollywood the young couple is greeted by glaring headlines and endless newscasts on the Manson trial. Memories of Philippe’s life with Sharon are everywhere. The press and paparazzi are clamoring for interviews of the man who almost married Sharon Tate. Can their marriage withstand all this? They believe it can, and with renewed vows, they set out to begin a new life.